Located in the city center of Prague, this marvelous five-star luxury hotel reflects all of the majesty of a golden age. 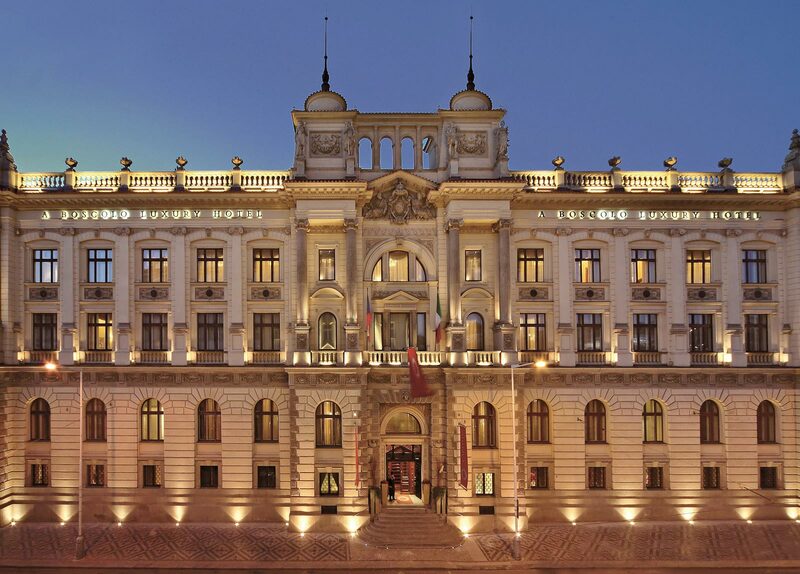 Behind the neo-classical facade of the Carlo IV, designers Maurizio Papiri and Adam D. Tihany have cancelled the traces of the former bank to create a stunning world of elegance and refinement. In the colossal hall, the polished furniture and sophisticated atmosphere of the rooms are accompanied by the most modern comforts. In the Box Block Restaurant, traditional bohemian and international dishes are served.The modern Congress Center offers the perfect setting for any kind of professional business needs, providing advanced technology equipment and impeccable service within an exquisite, classical ambiance. For a pure moment of pleasure and relaxation, in the Wellness Centre guests can enjoy a swimming pool, sauna and steam room.